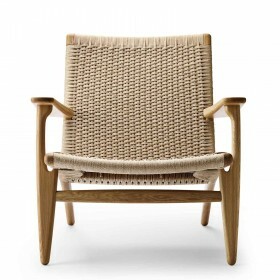 Hans J. Wegner design by Carl Hansen, 1960. 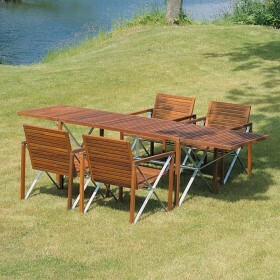 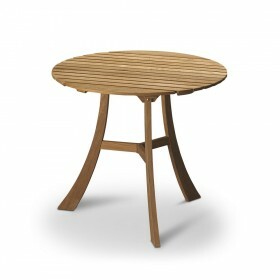 Beautiful dining room table which can also be used as a conference room table thanks to its optional extending leaves. 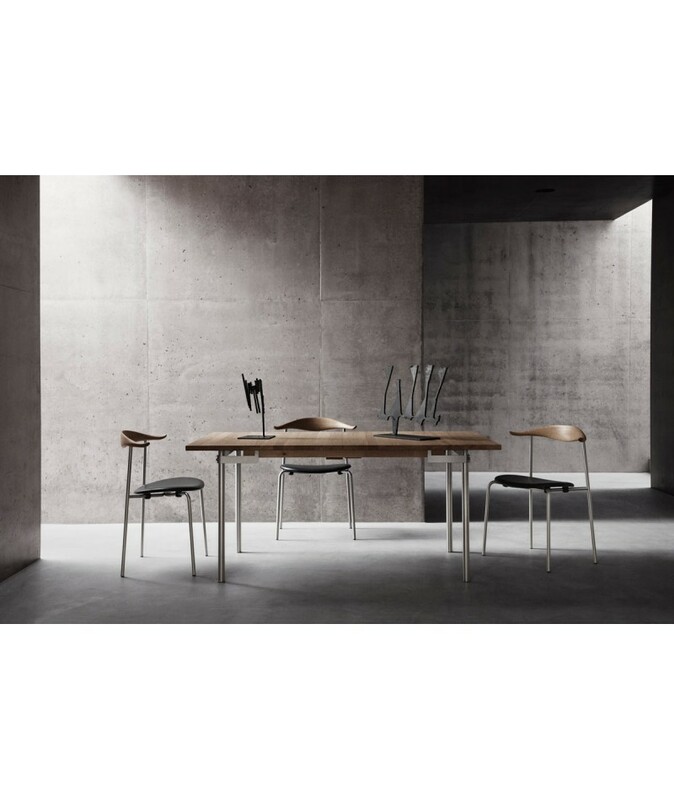 The subtle mixture of wood and steel, typical of Wegner’s creations, brings a modern touch to the natural looking structure and its simple and elegant design allows it to blend into modern or traditional environments. 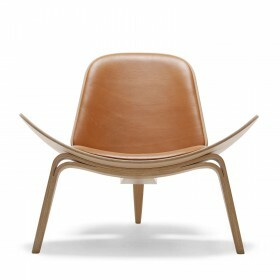 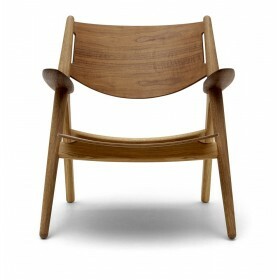 Hans J Wegner design by Carl Hansen & Son, 1960. 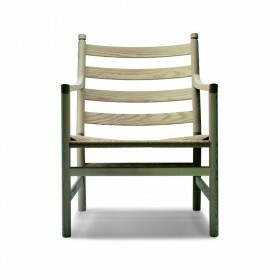 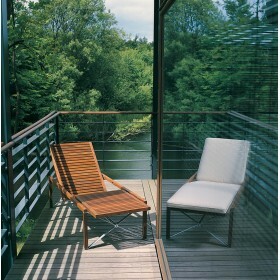 Hans Wegner longly experimented with combinations of wood and steel. 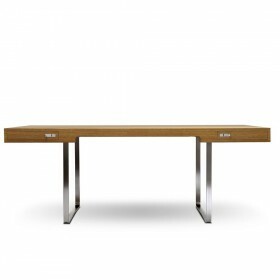 This table is one of his successful pieces with its beautiful stainless steel legs. 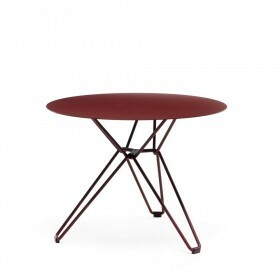 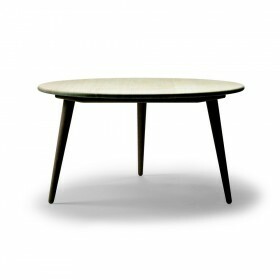 Even though it was first designed in 1960, the CH322 table has not lost its modern appearance. 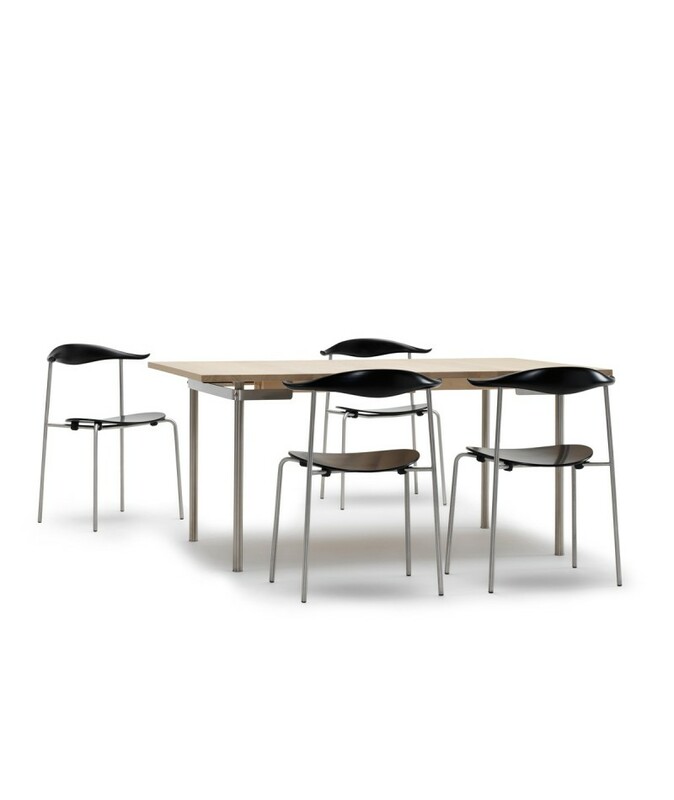 The solid wood extensible table top opens up at the center to receive up to four extensions, making room for up to 8 extra guests. 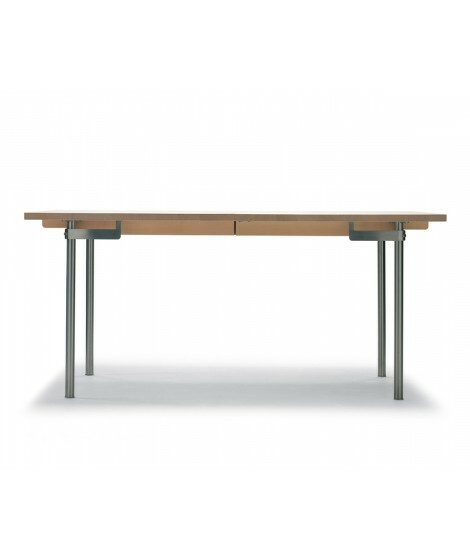 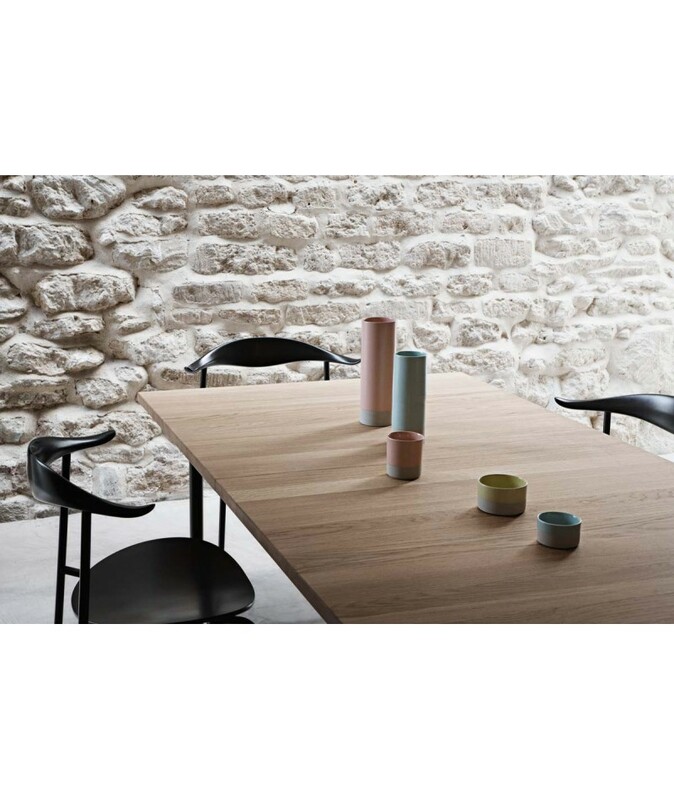 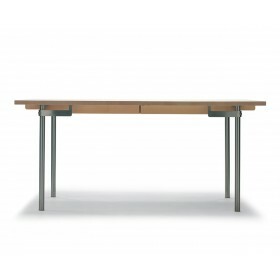 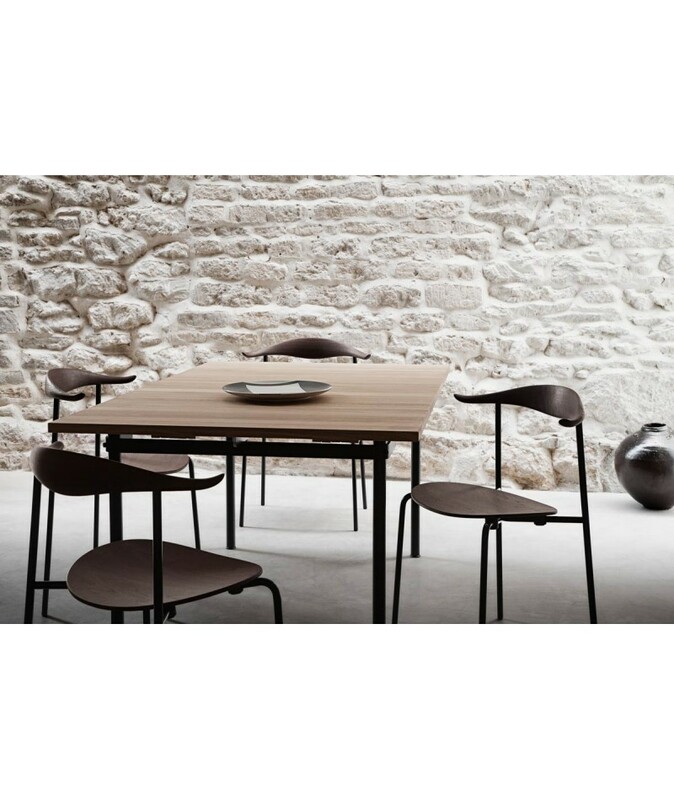 The extension leaves are offered in the same finish as the table top or in stratified grey or black. 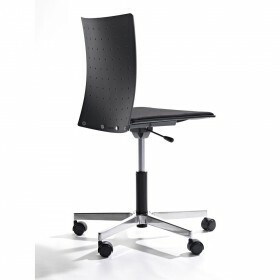 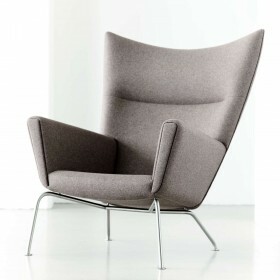 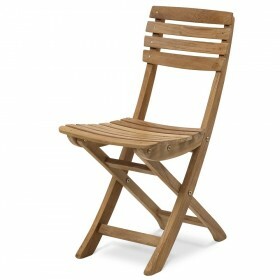 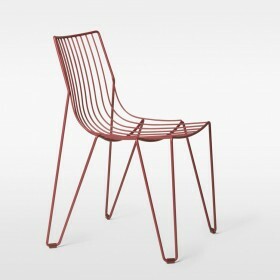 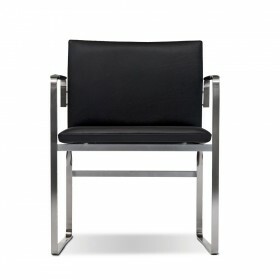 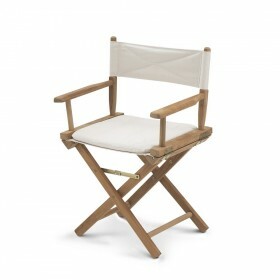 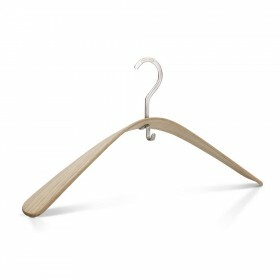 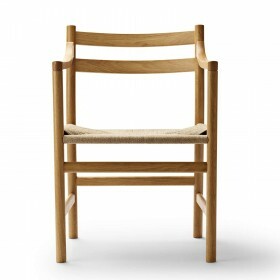 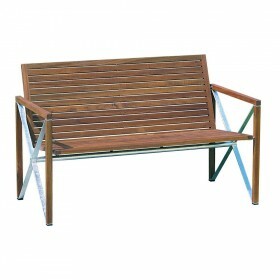 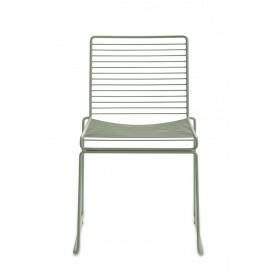 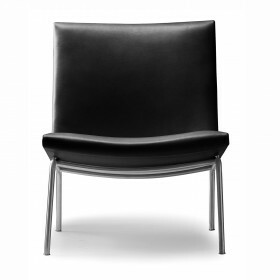 Its simple and elegant design perfectly complements the CH20, CH33, Wishbone or Ferry chairs by the same designer. 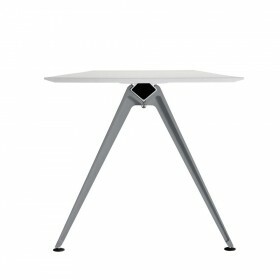 160 * 95 * 72 cm (closed). 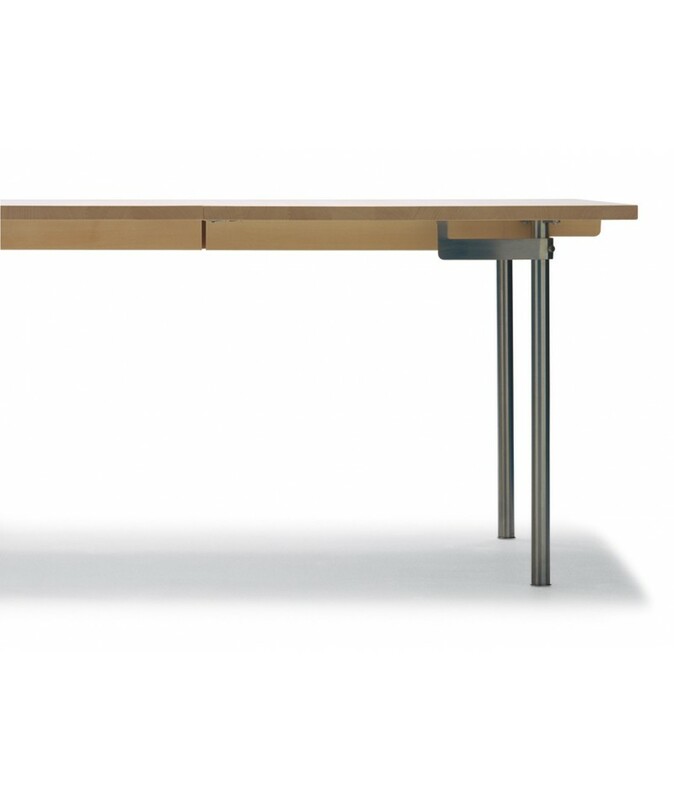 Maximum length with two extensions: 280 cm. 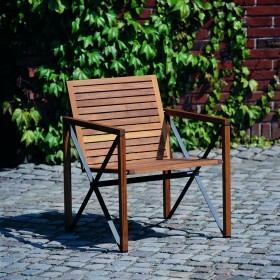 Supplement for models with 3 or 4 extensions (on request). 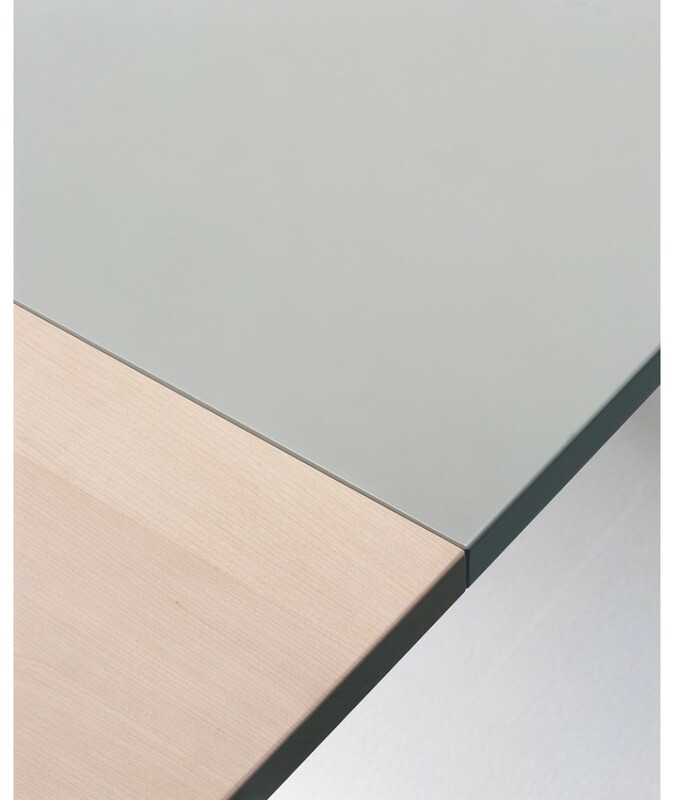 60 * 95 cm, in the same finish than table top or laminated grey or black. 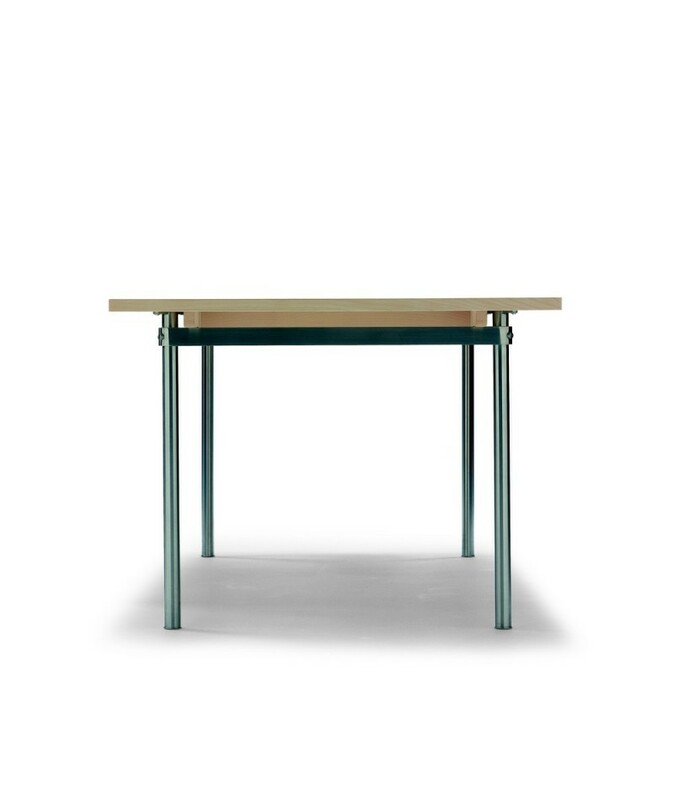 Possible to request a special table height (please ask us).